China's industrial output exceeded 30 trillion yuan (US$4.46 trillion) for the first time last year, with a notable rebound in industrial investment, which signals a rise in confidence toward the country's manufacturing sector, according to a top industry regulator. 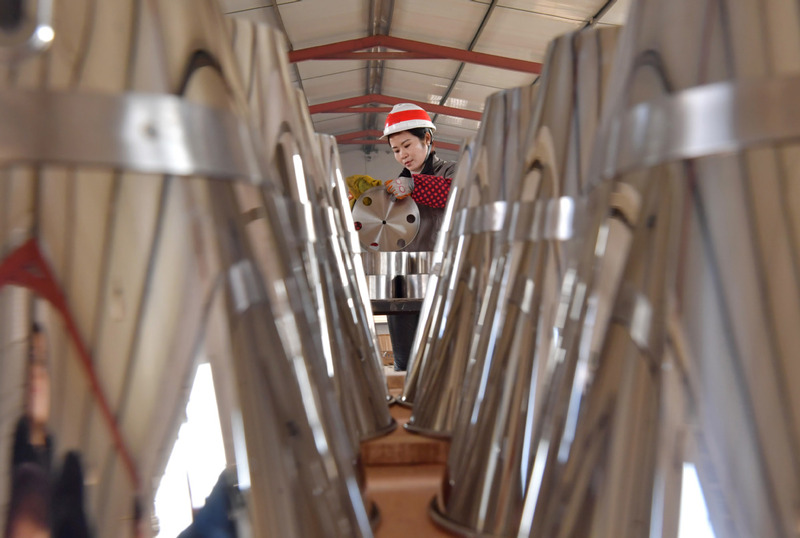 Investment in manufacturing increased by 9.5 percent year-on-year last year, the highest growth rate since July 2015, Miao Wei, minister of industry and information technology, said at a news briefing on Tuesday. "The growth momentum demonstrated the country's desire for future (industrial) development as this investment will help to improve industrial and product structure and will move the country to the mid to high-end of the global value chain," said Miao. Cheng Shi, chief economist at ICBC International, pointed out that the country's manufacturing investment is optimizing its structure significantly. "It is moving from traditional industries to high-tech and strategic emerging industries, which, in turn, drive high-quality productivity as well as high-end development of the manufacturing sector," he said. Despite a string of good industrial results, the automotive industry, an important part of the nation's industrial output, saw declines in production and sales last year. Amid such challenges, Miao expressed confidence in the future prospects of China's automotive industry, given that the sector is undergoing restructuring and upgrading, and that new energy vehicles maintained their growth trend last year. To revive future growth, the ministry also said on Tuesday that it and other ministries would step up the introduction of polices to promote the development of the automotive industry. "We will also further our efforts to create better road conditions to lay the foundation for autonomous and unmanned driving tests," he added. The ministry noted that it has pledged to fully open the automobile sector by 2022, as part of China's broader efforts to further promote its opening-up by granting more access to foreign investors in the manufacturing sector. Bai Ming, a researcher at the Chinese Academy of International Trade and Economic Cooperation, said China is welcoming foreign and private enterprises to enter more key sectors, which will inject new vitality into the country's industries.